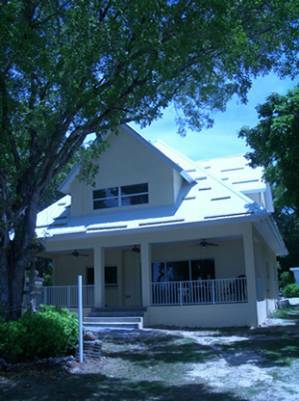 Spacious Key Largo bayfront home with sandy beach in tropical garden on one acre with spectacular bay views and sunsets. 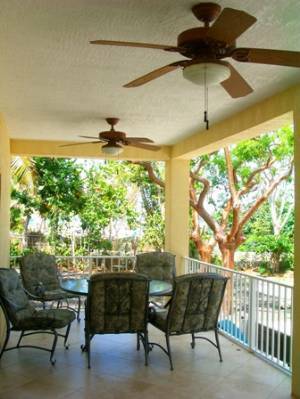 Relax on the large porch with ceiling fans. 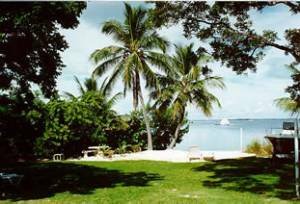 Sunbathe on the beach or enjoy water activities using the kayak, rowboat FREE. Lounge in the hammock among exotic trees. The beach house was built for family vacationing. 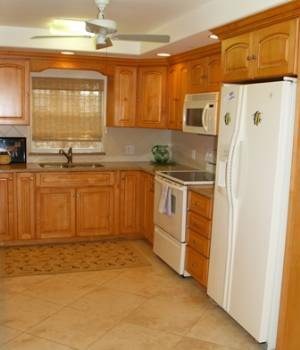 A full kitchen with granite countertops. Dining room situated by massive windows to view the clear,blue water. Each level has its own central AC setting for perfect climate control. 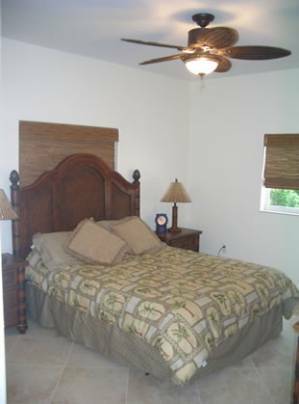 First floor bedroom has queensize bed with adjoining full bath. A must see with Garls, kayak, everglades tours. See wading birds, mangroves, sponges,spiny lobster,manatee, alligators, snakes and more. See marine life in tidal flats, reefs and sea grass habitats. Reservations required. 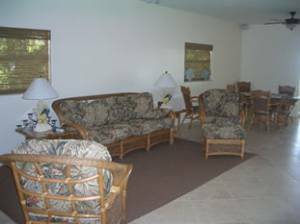 We travel quite a bit for business and pleasure as well and after staying in this 4-bedroom beach house in Key Largo we will always reserve this beach house for our vacations if the owners have it available. 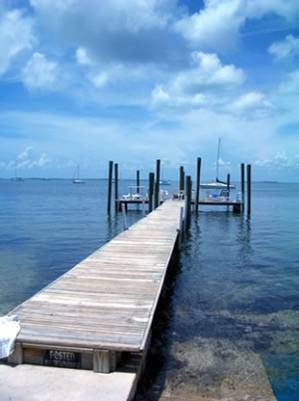 The house has everything anyone would need plus a view and a dock on Florida Bay. Barbara and I felt like millionaires staying here at very reasonable costs. 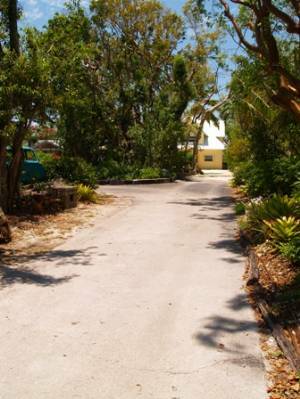 We ate seafoods at restaurants in walking distance, we visited all around the Upper Keys and this location, with its quiet, old Florida feel, yet with all my favorite movie channels to fall asleep with at night was PERFECT! We visited this place for spring break with 3 children. This is a wonderful home. I highly recommend it to anyone who just wants to get away from everything. It is extremely clean, and has everything you could possibly need. We loved the kayaks and used them daily to venture out to the nearby islands. The owners are great people who will help you out with anything you need while you are there. It was like being in a private tropical island. We went 4 days and never left the house. Your property is private even though there are neighbors. They provide a grill, hottub, everything you could ever need in the kitchen, fishing supplies, snorkel gear, sand toys for the little ones, and the chair hammocks will rock you to sleep within 10 minutes of being in them. We enjoyed the visit from the area Manatee 3 days while we were there, and enjoyed sitting on the porch with the ceiling fans for hours each morning. We hated to leave but can't wait to vacation here again soon. I just returned from a reunion that was held on this property. We could not have asked for a more perfect place. Everything we needed was there. Clean and comfortable. So many areas to enjoy. The sunsets out on the dock were fabulous. The living areas comfortable and inviting. Lots of shade in the huge back yard. I didn't want to leave. Just returned from Key Largo. The house was beautiful and spotless. Everything you would need is in the house. The owners were very knowledgeable of where to eat and things to do. We are already planning our next trip there. I would definitely recommend the property to all my friends. My family and I rented this property for Memorial Day 2011 and we had a fabulous time. The property and surrounding grounds were inpecable. The home is well equipped with everything that you may need. Martha and her husband were a pleasure and made sure our stay was great. We will definitely return. swimming by was a thrill to see. We will return. This is a nice, quiet vacation spot. The view is beautiful from the sandy beach. Deposit: Half of total amount. Required Stay: 4 night min.